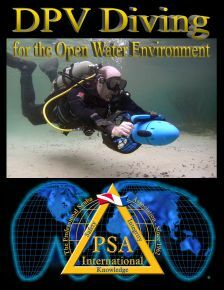 The Professional Scuba Association International’s Sport Diver Propulsion Vehicle course is designed to teach divers to properly use a Diver Propulsion Vehicle for sport open water diving activities. It will discuss the configuration and the peripheral equipment, as well as accessories and maintenance. The History of the DPV Diving. Open Water DPV Use and Potential Hazards. Overview of DPV System Configuration.